We are retired, non-smokers, and experienced motorhomers. 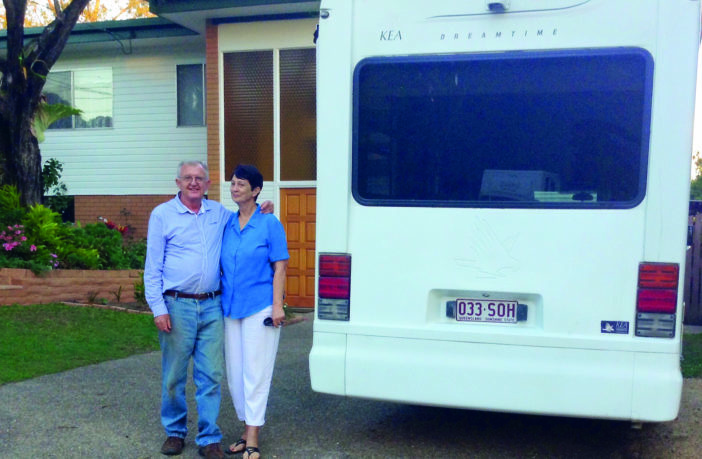 Kathleen was a teacher and a horticulturist, and Kevin designed motorhomes for Swagman on Caddie from 1995, and has 23 years of motorhome experience. We spend half the year in our motorhome and the rest of the time in our garden. We are interested in doing a motorhome swap with an owner in South Africa. We were doing a 14-day cruise from Brisbane round both North and South Island of New Zealand. Our ship had called in at the beautiful harbour of Akaroa for the day and we happened to meet a German on shore who was travelling around New Zealand in a motorhome. I noticed that it was not a rental, and asked him about that. Well, it struck me in a flash that here was a solution for my wife and I to see much of the world at the cost of motorhoming at home. We could easily afford that. He gave us the email address of RV Worldwide − and that was the beginning of the best, the most exciting, fun, easy and affordable international travel you could ever wish for. Your only real expense is your airfare, as the rest is like travelling around in your own motorhome in your own country. No money changes hands between the two swappers, so there are no GST or VAT issues. Both swappers must claim that their motorhome has no mechanical issues. If there is a mechanical problem during the swap period, it must be repaired at the owners’ cost because it would have happened, anyway. If damage is caused by the swapper, it is up to him or her to repair it. We will get you to join the CMCA Club. This means that you will get all the advantages of being a club member as a motorhome owner, and will be automatically covered by our comprehensive motorhome insurance policy. If you cause any damage, as in a collision, or a damaged windscreen, you will be responsible for the excess only. You will have to have a similar cover for us. It might be a little difficult for many South Africans to believe, but here in Australia, the current edition of Camps Australia 9 lists over 4 400 sites that are free, or very low-cost. We, as many motorhomers do, go away for long trips and never spend a cent on accommodation. There are also many “Motorhome Friendly” towns that offer free dump facilities, and free powered picnic and braai spots as well. They are not only free, but safe. For many South Africans, this must be very hard to understand; but I guess it’s a bit like the fact that in the street where we live, there is only one house with a fence, and that’s because they have a swimming pool in the front yard. When we go overseas, we usually go for between a month and two-and-a-half months at a time. 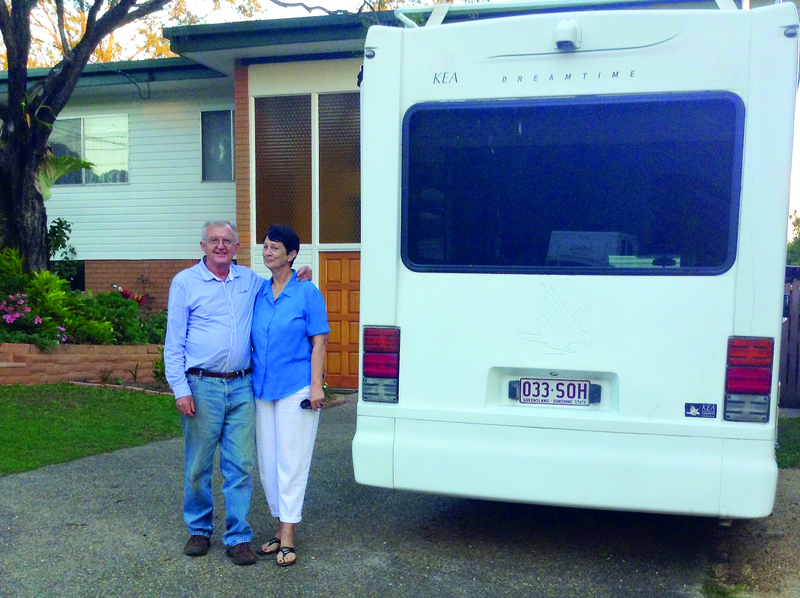 To date, we have very successfully motor-homed in the UK, Canada, Western USA and New Zealand. We know of many others who have also done so and are swapping regularly in Europe, Morocco, etc. We understand that when we are motorhoming in South Africa, we will have to use safe/secure camp sites or similar. Some people ask if we are not scared. Scared of what? We each have all the details of the swapper that you could ever want, including passport details, driver’s licence, contact details, etc., so who is going to steal your motorhome? To date we have never had any issues with any swaps, and neither have any of the many swappers that we have met. I guess the worst that could happen is that your motorhome is not cleaned to your liking, and that has not happened yet. Even if that does happen, simply get the motorhome professionally cleaned for a couple of hundred, and enjoy the many, many thousands you have saved on accommodation. We are looking at doing a motorhome tour in South Africa for a month or two, from about Easter 2019, as we want to spend at least a couple of weeks in the Kruger National Park. 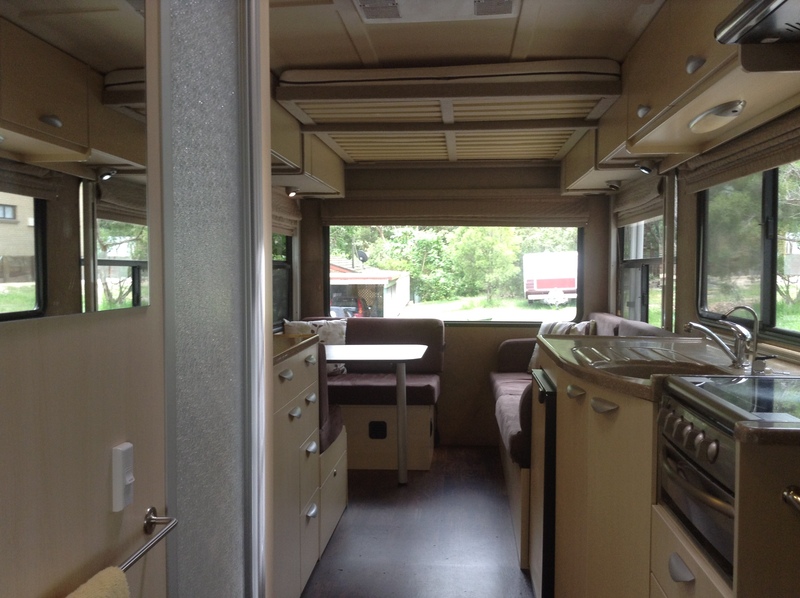 If any of your readers are interested in doing a swap or a non-simultaneous swap, we would be very pleased if you would pass on our email address, RV4KandK@gmail, and we will send them our personal details and a full description of our motorhome, with pics, etc. We even like to have a chat on Skype, before we settle. We would be happy for a non-simultaneous swap: our motorhome is available at any time of the year, as there is always somewhere good and safe to go to in Australia. If you want to have a warm winter, many Australian Grey Nomads go north from May to September. We would like to meet and greet and show you around before you set off on your travels, as you may wish to reciprocate. Our Kea has been upgraded extensively. It now has two metres of extra living space because our double-bed is electrically lifted into the ceiling during the day, leaving a large living area; yet there is still ample head room, as we are both tall. The Luton Peak now has 11 lightweight drawers, three large dust-proof storage bins, two extra outside chairs and a unique, clean, wood-fired BBQ. It also has a built-in 2kVA Honda generator as an extra to the two solar panels, plus a Fresh water filter, hot and cold (240V & gas) running water, a shower, a vanity and a flush toilet. There is a TV and DVD, a microwave oven, a gas top and grill, a 135L fridge freezer, a hot and cold air conditioner, a four-metre awning, etc. − all so that you can free-camp and “leave no trace”. We will happily explain the rules and show you how safe and satisfactory it is. We can also have a chat on Skype.